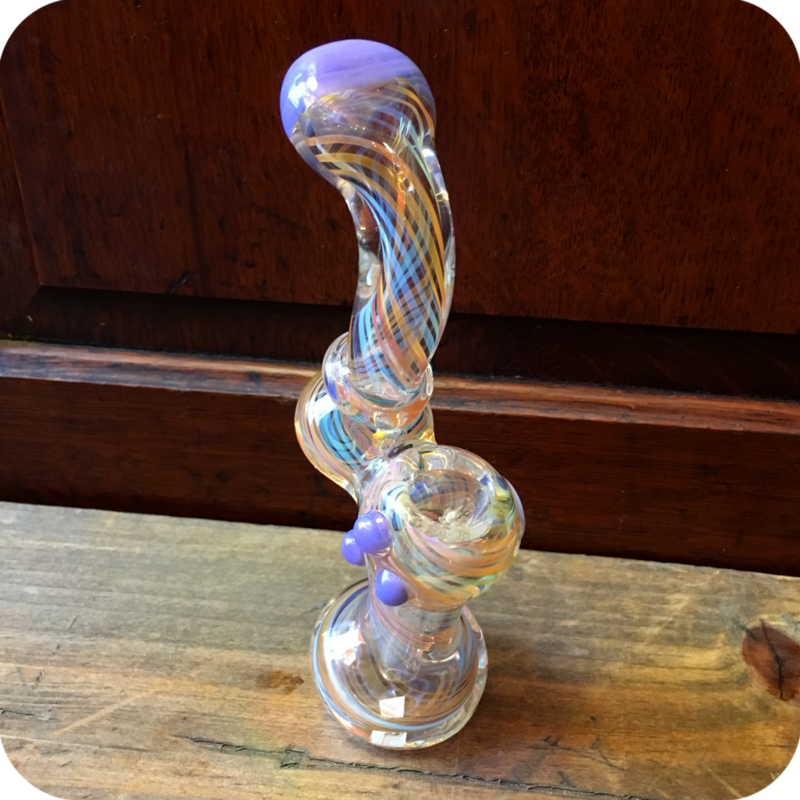 The color-tipped spiral bubbler is the perfectly psychedelic glass piece you’ve been looking for! It is very easy to use, and with enough care will last you a lifetime! It features high quality sturdy glass, and a very generously sized bowl. 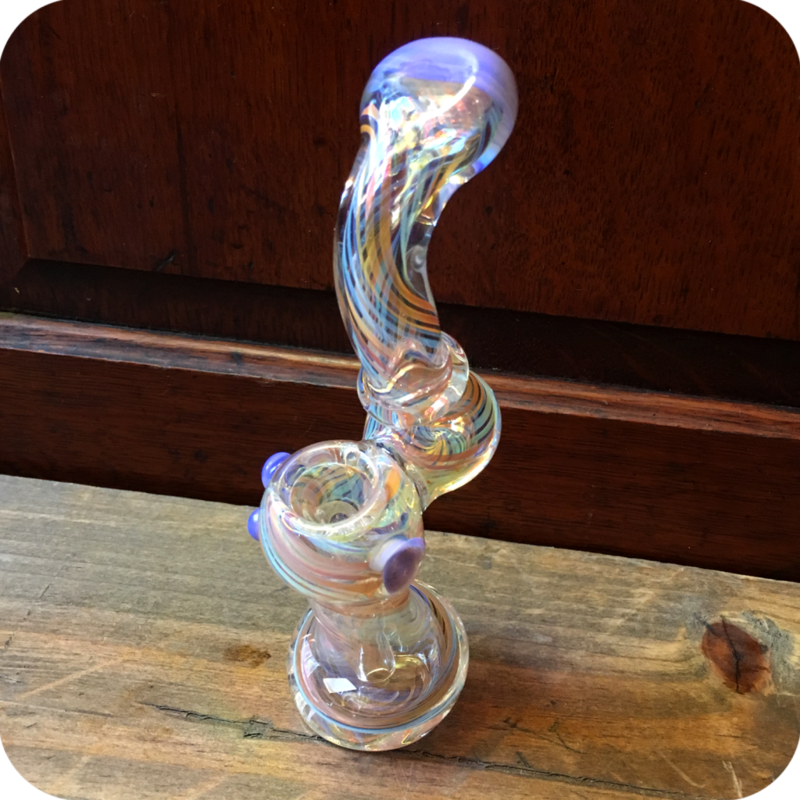 This bubbler works just as great for passing around with friends as it can be for personal use. Using this pipe is easy. Simply fill the pipe with water to your desired level. Then, pack the bowl with your favorite legal herbs, or smoking tobacco. Place one finger over the carburetor, and light the bowl with your other hand. As you light the bowl, inhale slowly. When it is time to clear the smoke, lift your finger off the carburetor and inhale one last time. It is as easy as that! Keep this pipe regularly cleaned and maintained with some Formula 420 cleaner. Formula 420 Cleaner is a trusted cleaning solution by smokers all over the world. With enough love and care this pipe could last your a lifetime. Not looking to buy any cleaner? No problem. 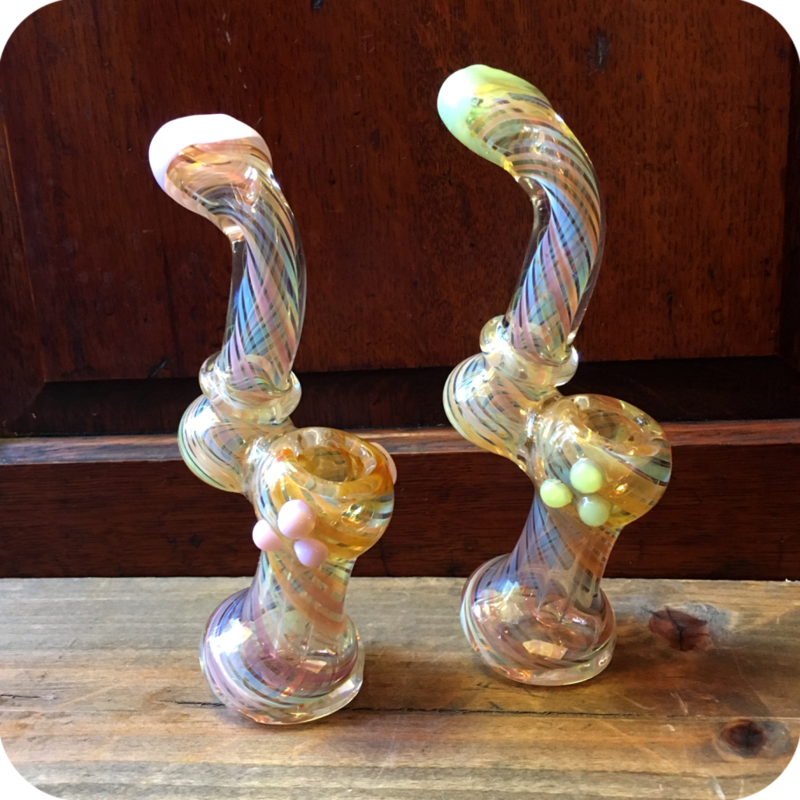 Place this pipe in a ziploc bag with some rubbing alcohol and salt, and shake well! Finally, do not forget to swing by either one of our three Brooklyn store locations to see what all we have to offer! 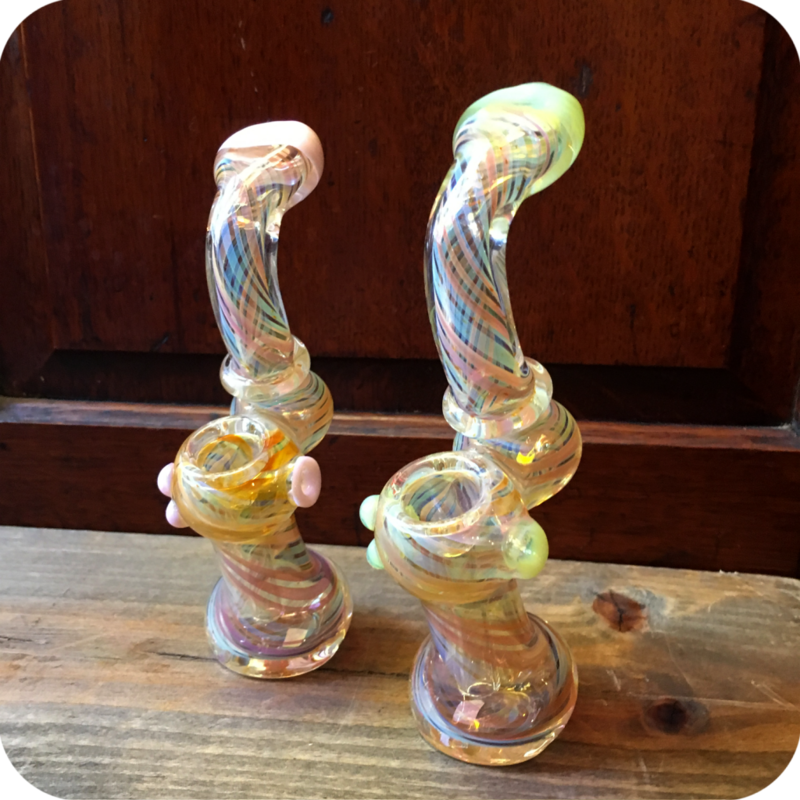 We have something for every smoker! We are located at 12 Wilson Ave in Bushwick, 518 Grand Street, and 377 Metropolitan Ave in Williamsburg. Tags: Brooklyn, brooklyn glass, brooklyn smoke shop, bubbler, Color-Tipped Spiral Bubbler, glass bubbler, small bubbler, Sunflower Glass Company, water bubbler, williamsburg smoke shop.